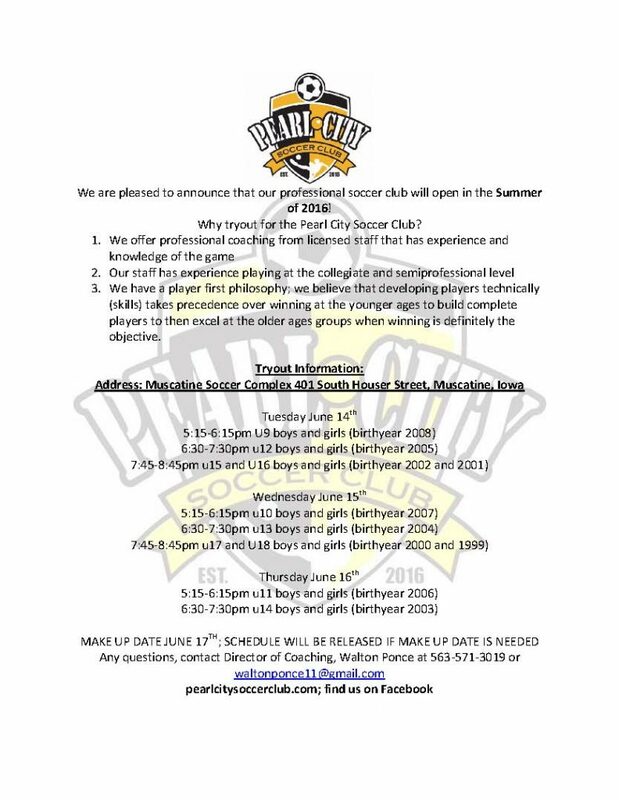 Tryouts information for pearl city soccer club will be held at Muscatine Soccer Complex the 14th, 15th, and 16th of June. 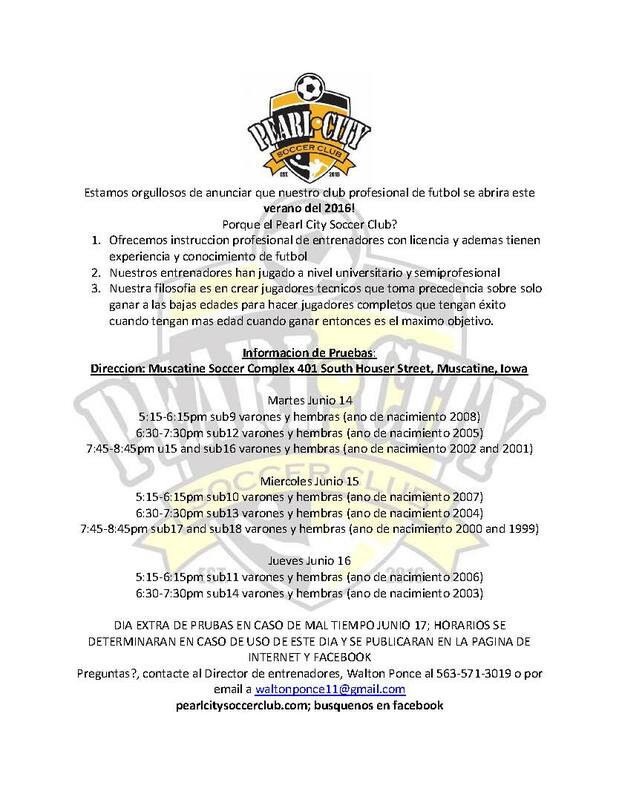 Please see age groups to attend the correct tryout time. Call 563-571-3019 for any questions.